Westborough -? Constance “Connie” I. (Leard) Palmer,? 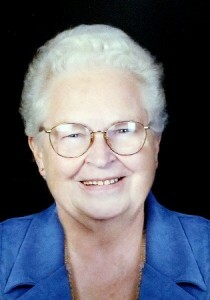 died Thursday, Dec. 6, 2012 at Beaumont Nursing Home in Westborough after a long illness/surrounded by her loving family. She leaves behind the love of her life of 67 years, Clifford “Jonnie” B. Palmer; son, Clifford B. Palmer, daughter-law Martha of Northborough; daughters, Dolores Cowden, son-law Bill of Oxford, and Deborah Berberian,? son-in-law Ted of Paxton; nine grandchildren; and eight great- grandchildren. Connie was born and raised in Worcester, daughter of the late Leslie E. and Stella B. (Sanford) Leard. Her nursing career began in 1947, completing nurses training at Worcester City Hospital. Connie received a B.A. degree from Clark University and a Master&apos;s in Hospital Administration from Framingham State College. She worked as a consultant for the Department of Mental Health. Connie was employed as a Registered Nurse and Director of Nurses at Westborough State Hospital for 40 years, retiring in 1988. She ?was a Past Worthy Matron of the Eastern Star, Bethany Chapter #13. 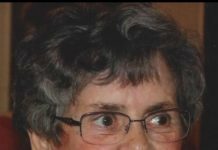 She was a member of the Northborough District Nurses Association. She was also a master embroider and a member of the American Needlework Guild. She and her husband Jonnie loved traveling all over the U.S., Canada, Mexico and Europe. She also enjoyed stitching. The family requests that, in lieu of flowers, donations may be sent to “Recreation Department” at Beaumont Nursing Home, 3 Lyman St., Westborough, MA 01581. Calling hours will be held Monday, Dec. 10, from 5 to 8 p.m.,? at Hays Funeral Home, 56 Main St., Northborough. Her funeral will be held Tuesday, Dec. 11, at 10 a.m., at Church of Jesus Christ Latter-day Saints, 240 Hemenway St., Marlborough. Burial will follow in Howard Street Cemetery of Northborough.